Do I Really Need an Elder Law Attorney to Help with Medicaid? Going through the process of helping a loved one qualify for Medicaid can be extremely overwhelming if you have never encountered it before. Even experienced individuals may find themselves confused by all of the various aspects required to qualify for Medicaid. This is why it is strongly recommended that you consult directly with an experienced elder law attorney when going through this process for yourself or helping an elderly loved one. One of the first things you need to do in order to qualify for Medicaid is to ensure that you meet the determination of needs score. This is what is used to determine whether or not an individual actually requires long term care in an official nursing home. This assessment can be determined by many different organizations. Additionally, the income eligibility requirement is critical for determining if your income exceeds the private cost of care. Qualifying for Medicaid can be extremely complex as there are numerous rules and regulations associated with this process. The income eligibility requirements and the resource eligibility requirements are some of the most confusing aspects of the process overall. 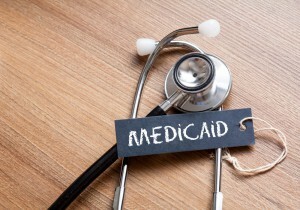 In the event that you have tried to give away assets in order to qualify for Medicaid and you have given away these assets too soon in conjunction with your Medicaid application, the look-back period can be used to deny your eligibility for Medicaid. It can be a significant blow to discover that the government is refusing you Medicaid eligibility. That is why it’s well worth your time to consult with an experienced individual who has a background as an elder law attorney. If any of this process seems confusing, that’s because it is. This is why you need an elder law attorney who has helped others determine their long-term Medicaid plans and other long-term care issues well in advance. You can help avoid confusions and frustration by working directly with an attorney. Ready to get started? Contact info@lawesq.net today if you have questions.